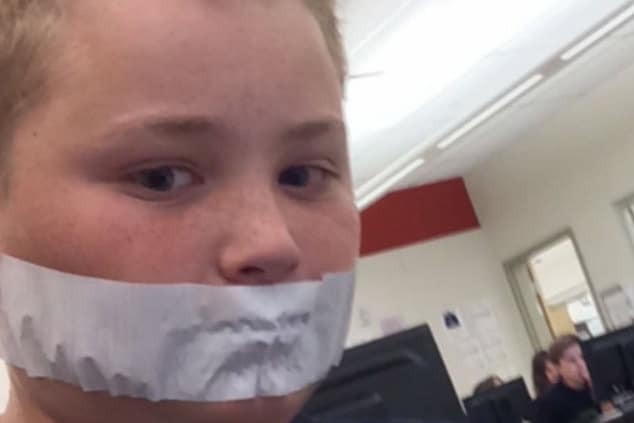 Maxdale Elementary School substitute teacher duct tapes students mouths. Screen grab image of Utah student Salt Lake City's Wasatch Junior High School. Maxdale Elementary School substitute teacher duct tapes students mouths. Screen grab image of Utah student at Salt Lake City’s Wasatch Junior High School who was also duct taped in an another separate incident in May of 2016. Maxdale Elementary School substitute teacher duct tapes ten student’s mouths: An investigation is launched after an incident of child abuse during class. 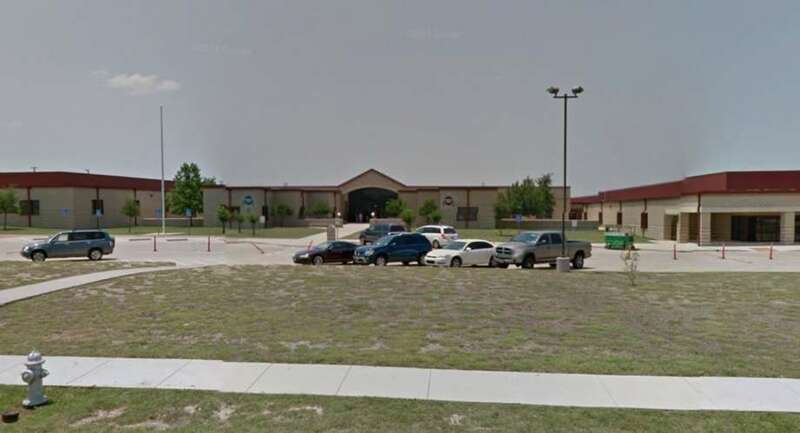 A Killeen, Texas substitute teacher at Maxdale Elementary School has been banned after allegedly putting duct tape over the mouths of students. KXXV reported the fifth grade teacher on Thursday duct taping ten students mouths during class while telling three other students, ‘to do it themselves’. In total there were 17 students in the class at the time of the alleged incident. Carmello Brooks was one of the students affected, according to the Killeen Daily Herald. The boy’s mother said after her son ripped the tape off his mouth, the teacher allegedly put another strip back on. According to the son, the students sat with tape over their mouths for at least 15 minutes. All 13 students involved were taken to the nurse’s office after administrators learned of the incident, KWTX reported. They were all able to resume class later. Child Protective Services were reportedly notified and the Killeen Independent School District is working with local authorities in their investigation. Pictured, Killeen, Texas, Maxdale Elementary School. Google images. Maxdale Elementary School substitute teacher: How did the teacher come to be placed at the school? Not necessarily clear is if there had been any commotion during class that may have precipitated the teacher’s actions and if so, why they instead didn’t seek supervisor involvement? Or what for that matter informed the sub teacher they had the right to exact their particular brand of ‘discipline’? Yet to be divulged is how the teacher came to arrive at the school, if by an employment agency and what vetting had been secured prior to their engagement and what culpability if any, Maxdale Elementary School bore in the teacher being allowed to teach….